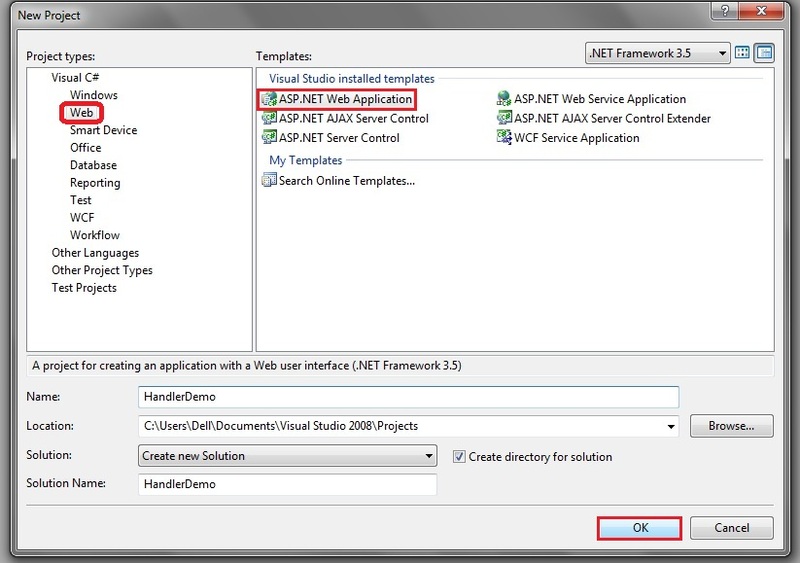 HTTP Handlers is a new technique presented in ASP.NET that was not present in the “Classic ASP”. HTTP Handlers are components that implement the System.Web.IHttpHandler interface. Unlike ASP.NET pages Handlers dont have HTML-markup file, no events and other supporting. All they have is a code-file (written in any .NET-compatible language) that writes some data to the server HTTP response. 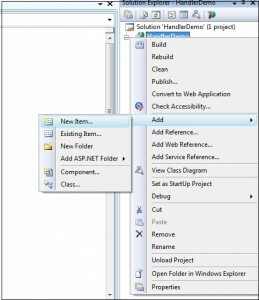 ASP.NET handlers have “.ashx” file extension (unlike pages, that have “.aspx” file extension). Handlers are considered to be more lightweight object than pages. That’s why they are used to serve dynamically-generated images, on-the-fly generated PDF-files and similar content to the web-browser. One such scenario which may arise in any product is that if I owe a site and I want to restrict the user from downloading a file if he/she is not logged in. But if the user (not logged) is allowed to see the url of the downloading file then he can just copy the url and paste it in another tab and he can easily download the file from there, i.e. my protection mechanism failed. Now here comes the use of handlers. The handlers will restrict the user to even view the url of the file to be downloaded unless he is logged in. 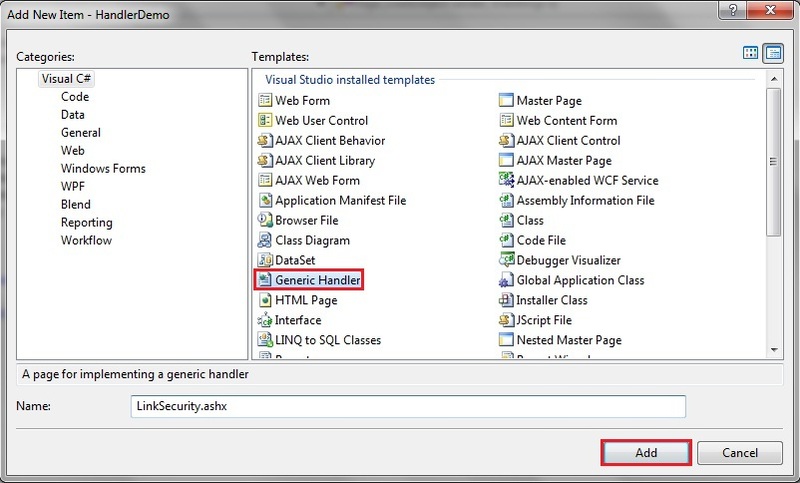 How to create the Handlers in ASP.NET in Visual Studio 8.0. 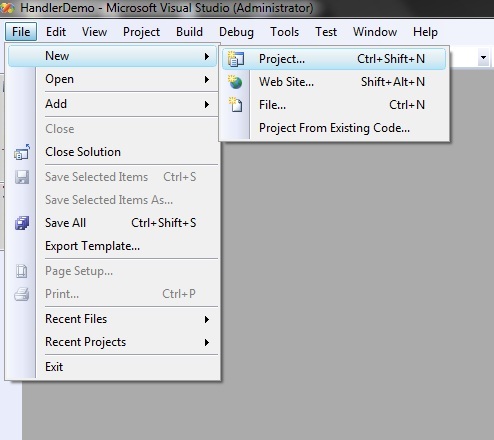 Step 1) Open Visual Studio an Goto – File Menu ->New -> Project. 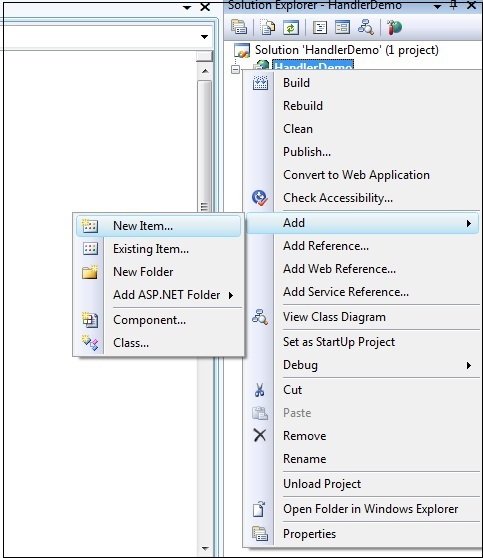 Step 2) Now new window will open then select Web -> ASP.NET Web Appliction. Then rename it and click ok. Step 3) Now we have to add the Handler (Don’t call it the page, its all different thing) Follow the steps to include the handler in the current project. 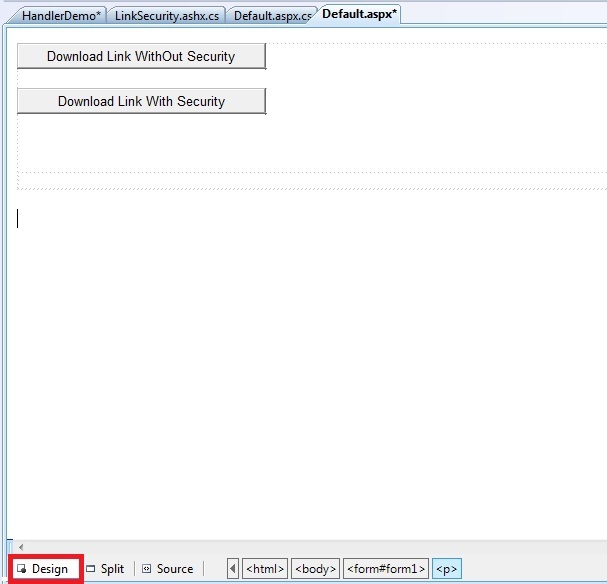 Step 5) Now open the Default.asp page in Design view and design the form as required using Button Tool from toolbox. Nice way of writing Tutorials. Very professional and Simple.